YouScan is a smart social media monitoring tool, which helps companies become better by listening to their consumers online. It helps brands connect with their audiences, uncover valuable consumer insights to improve products and services, and even find new sales leads. "Positive and productive relationship 5 years and counting"
It's a good tool, but if I have to pick one thing - pricing policy. My Agency started working with YouScan in 2014 (as I remember), back then it was a stable and promising solution, but limited in its function. I am proud to have witnessed, how this cool startup survived all the radical changes in the field of Social Listening and became what it is today - the strongest and most efficient social listening software in CIS, with probably the best customer service I've seen in Russia. Though it became more expensive in comparison to 2014 :) I can say, that You Scan makes it worth working with them every time and again - by supporting their client, by keeping their operations stable and by constantly innovating their product. YouScan is an integral part of our Online Reputation Management product. It is used for variety of tasks within the product starting from problem identification (24/7 monitoring) and ending with determening user behavior trends and insights. You scan allows us to see the whole picture. 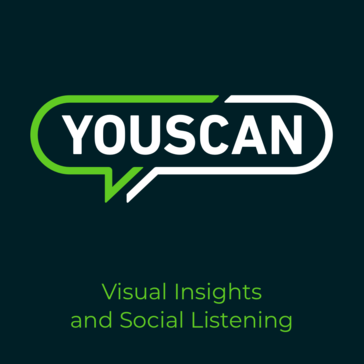 "The best tool for social listening"
YouScan has a great interface which makes it easy to use generally, we used YouScan to collect mentions on different social media platforms and we liked the fact that it didn't only monitor text but also images. It also has a smart notification feature where you can setup YouScan to notify you of any unusual activity or event. I think the price of YouScan is high more so for small and medium companies. YouScan is a really great tool, it helps in understanding customers, knowing how they feel about your products and with this information you are in a position to improve customer service and improve your products to suit the customer's needs. I think every business should have YouScan but unfortunately, the price might be steep for some businesses, especially the SMEs. YouScan has really helped us maintain our reputation because with it we are able to know exactly what customers think of our products and when we find something negative we are able to act on it early before it leads to a big issue. I would like to share my impression of YouScan service as a Chief Technology Officer of a border-line product. I can’t call myself a regular YouScan user, but as I develop a border-line product for the same audience, I constantly examine the service so I can share my opinion. YouScan is a quite complicated processing tool and I can say without a doubt that it can complete some tasks by automatizing the processes. It is not always easy to choose an appropriate product on your own. The best thing you can do is tell YouScan managers about your tasks and needs in details, and I’m sure they will come up with the best decision. YouScan helps users collect the feedback from the clients telling about their experience using brand products. For each reply they collect detailed data on its author and the content: you can analyze it in order to improve your products or customer relationships. "YouScan pro bono support of Tabletochki charity foundation"
Tabletochki is a crowdfunding foundation. The volume of our help for children with cancer depends directly on the trust of the benefactors. Therefore, it is important for us to be confident that the information that applies to the fund is reliable. Thanks to the pro bono services of YouScan, we can always respond to the situation online in a timely manner, answer questions and provide complete and accurate information about our work. YouScan also helps us to ensure that information about children under our care is not used by frauds to raise funds on their accounts. "a media monitoring tool that I use"
The system has a lot of features and - perhaps - designed for enterprise-level companies. We are a smaller business and do not need such a wide range of functionality at the moment. "Top solution in social media monitoring & analysis market"
"The most effective social and media listening"
We’ve been working with a bunch of different products of such kind, and due to that experience we undoubtedly can name Youscan as the most effective social listening and analytics platform. Youscan provides you with intuitive and easy-to-use interface, informative reports, great advanced features. YouScan is beneficial for our business in a number of ways including increase of our awareness of daily mentions and audience reactions. We are able to monitor campaigns with minimum unnecessary actions. Over the past several years I was using Youscan mostly to track social media influencers for different marketing campaigns I was involved in, commercial as well as some non-profit ones. Monitoring trends is the most valuable feature for me. You can instantly see if your marketing is effective or not. "One of the best solutions for Social buzz monitoring"
1. Monitoring of all key SNs, websites, mass-media etc. "Useful & user-friendly social listening tool"
I love YouScan for regular development of new features that makes easier the analysts’ work. When Trend Watching function was launched, my time spent on working with news’ hooks greatly reduced. I don’t need to spend time looking for patterns among them anymore. Everything works automatically. Previously, there was a problem to explain reasons for each surge to the clients. Now everything is clear - what, where and why. I like that YouScan is fueled by image recognition technology. Gave the company that I was working for the ability to identify the customers that we were interacting with based on different demographics. I dislike the price, we were using the "Pro" version, which was $750. A little pricey for small businesses. We used YouScan for the analytical functions and trends detection and to monitor the small business that I was working with's social media presence. Too expensive, less mass media than it could have been. Youscan does exactly what it sets out to do. Very good at scanning online to gather information and really improves marketing campaigns for the business. There is not much I dislike. Possibly try to improve the spam filter. This product can fast and efficiently scan docs and have them converted to to online docs and data sheets. It’s trend detection is great for specifically targeted campaigns. "Great experience, but don't use it anymore because I've changed jobs"
At least give it a shot! Very cool internationalization features - we were able to set up SMM and monitoring in Nigeria easily. We use YouScan to track discussions of clean and solar energy on social media and on traditional online media to stay on top of the industry trends. * We monitor all YouScan reviews to prevent fraudulent reviews and keep review quality high. We do not post reviews by company employees or direct competitors. Validated reviews require the user to submit a screenshot of the product containing their user ID, in order to verify a user is an actual user of the product. Hi there! Are you looking to implement a solution like YouScan?